The new compact portable wireless speakers from Sony, SRS-X2 and SRS-X3, are ideal for both indoor and outdoor use with their small and lightweight design. 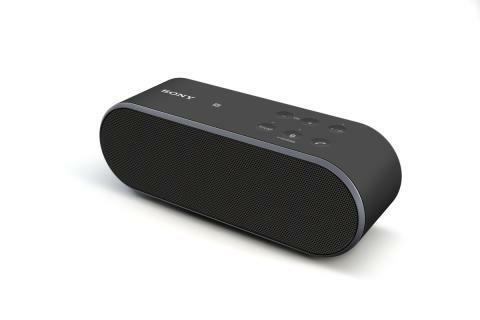 With exceptional sound performance for their size, Sony’s portable wireless speakers are the ideal companion for listening to music from your mobile device. Connection to your device is quick and simple with the built-in Bluetooth® for wireless music streaming, or if you’ve got an NFC-enabled device, simply touch the top of the main unit of the speaker with your mobile or tablet for one-touch listening of your songs. The SRS-X3 possesses the power to turn any phone, tablet or mobile device into a portable sound system. The SRS-X3 has it all: great ergonomics, resistant material and incredible bass sound, all packed into an undeniably classy design. As with its big brothers SRS-X9, SRS-X7 and SRS-X5, the SRS-X3 also has the “Definitive Outline” design that contributes to high quality sound and blends into any living space. Impressive bass sound for a speaker of this size is engineered by two passive radiators located at both the front and back, together with the air pressure generated from its 20W full range speakers. High quality sound is achieved by ClearAudio+, Sony’s unique technology resulting from our expertise in digital processing. Packing in more features to its small frame, the “Sound mode” ensures an impressive output by realising a wider sound stage. The speaker features a built-in rechargeable battery offering up to seven hours of play time; perfect if you want to take it out and about with you. Easily recharge this battery through a micro USB cable. An AC power supply and a micro USB adapter cable provide additional power and charge the speaker even faster. The matching foldable carrying case makes portability a breeze. 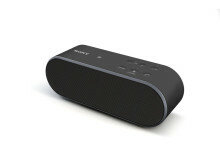 Simple wireless music streaming is supported through Bluetooth® and NFC. Using this connection, the SRS-X3 also features a built-in speakerphone to allow a hands-free conversation while easily returning to your playlist. The SRS-X2 is your perfect outdoor companion - small enough to fit in your hand but powerful enough to create remarkable sound. Audio quality isn’t compromised by its size and is even enhanced by the use of the ClearAudio+ technology as well as the “Sound mode”. The durable and light casing makes this wireless speaker the ideal device for outdoor music playing. Effortless wireless music streaming with the SRS-X2 is facilitated by the built-in Bluetooth® connectivity. Bluetooth® and NFCtm allow you to access and play your favorite tunes with one touch and without being connected to any wires. The speaker features a built-in battery, optimally recharged with the micro USB charge and a USB AC adapter, offering up to five hours play time, perfect if you want take it out and about to festivals or just when relaxing in the park. 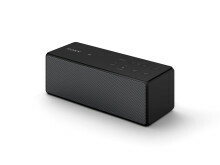 The new SRS-X3 and SRS-X2 portable wireless speakers from Sony will be available in the UK from July 2014.